I attended Xavier University, and graduated in 2013. I majored in Latin and Greek, with minors in Philosophy and Environmental Studies. 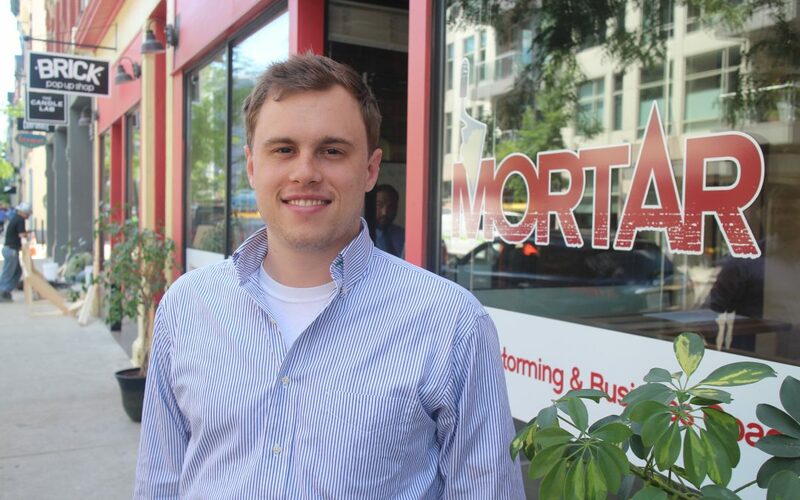 With all of the possibilities around Cincinnati for doing your internship, what drew you to working with the team at MORTAR? I sought an opportunity to develop relationships with clients and experience a level of client interaction that law students and new attorneys simply don’t get. I also wanted to do meaningful work with people who are passionate about achieving their dreams. Working with MORTAR clients is thus a win-win, both professionally and personally. Law students and new attorneys simply don’t get the opportunity to manage client relationships; working with MORTAR gives me a step up over the competition. What are you looking forward to most about your internship? I take pride in myself for being able to make friends with complete strangers. I like to say that I could walk into a room full of strangers and walk out with new friends. As an attorney, I want to make an impact both on people’s businesses and their lives. My professional goal is to truly be a counselor at law, rather than simply someone’s legal representation. Achieving this goal takes a personal touch, one I look forward to giving. When you aren’t in class or at MORTAR, what’s one of your favorite things to do? I have always loved to cook. Standing at the stove is an opportunity for me to create and improvise, to let loose and let my personality shine through to a tangible product. I love cooking for other people, and I always seek feedback on how to make the meal even better the next time. I also am a sports fan – my whole family is from the Boston area, so I love the Celtics, Red Sox, Pats, and Bruins. I see MORTAR as a crucial entity that, to as great an extent as possible, ensures the pre-existing community doesn’t get left behind in the midst of ever-developing OTR. This is a difficult task, but in the short time I’ve worked at MORTAR I see that the first step to achieving that goal is developing positive relationships with members of the OTR community who strive to better themselves and the neighborhood. The founders and employees here do just that. The door to MORTAR is always manned, with dedicated, passionate people always prepared to help whoever visits, even if just to have a quick chat. Every time someone leaves, they go with “Have a blessed day” ringing in their ears as they walk out of the door. The positivity and the friendships transform into connections and relationships with entities outside of the OTR community that lead to bigger and better things for the neighborhood. I’m grateful to be a part of this movement. I only officially have 10 weeks to make a difference through this organization, but I trust that the relationships I develop will last much longer.